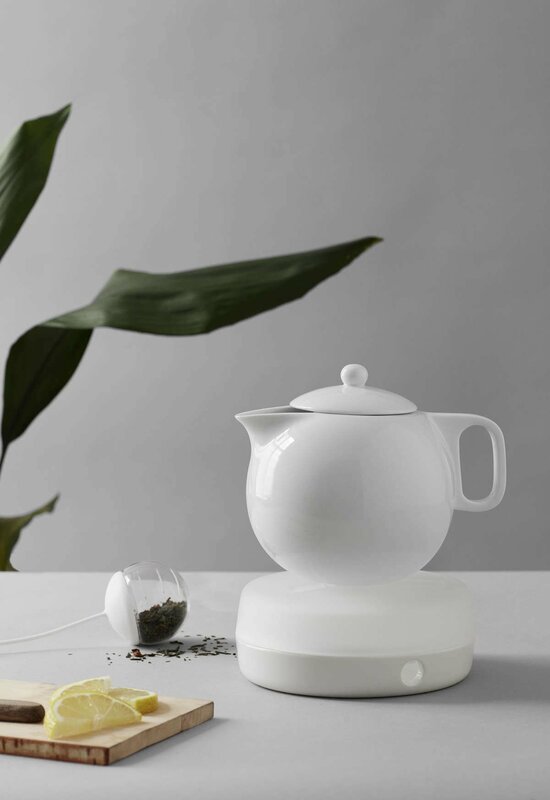 A unique white teapot can be difficult to find if you also happen to love beautiful design. The Jaimi has all of the familiarity and comfort of a classic teapot with a modern twist so tea-time will never be boring. Find your next creature comfort in Jaimi. Size: L: 15.3 cm - W: 13.1 cm - H: 17.4 cm - Vol: 1.00 L / 34.00 fl. oz. Life isn’t enjoyable without creature comforts. A pair of woollen socks. A warm blanket. A big soft pillow. A cosy jumper. These are the things we collect and place in our homes. We carry them through the years to keep us warm and content. Creature comforts come in all shapes and sizes. They even come shaped as teapots. 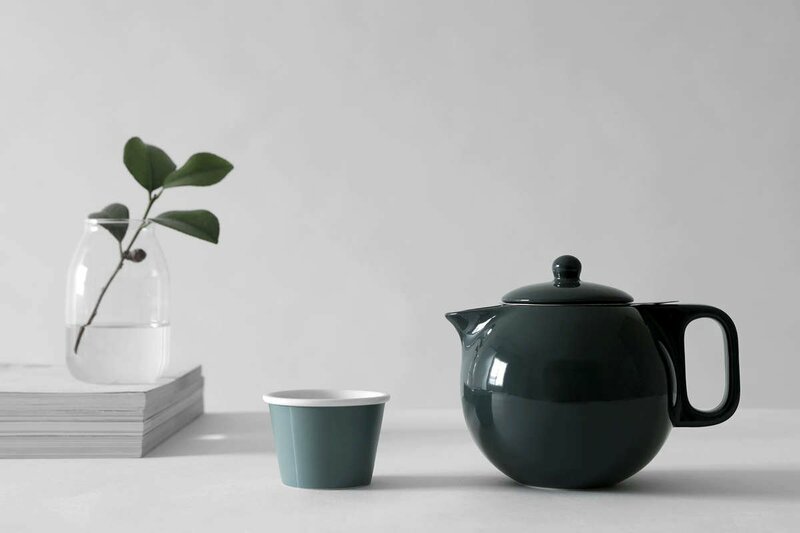 The Jaimi teapot is the next companion to add to your homey treasures. 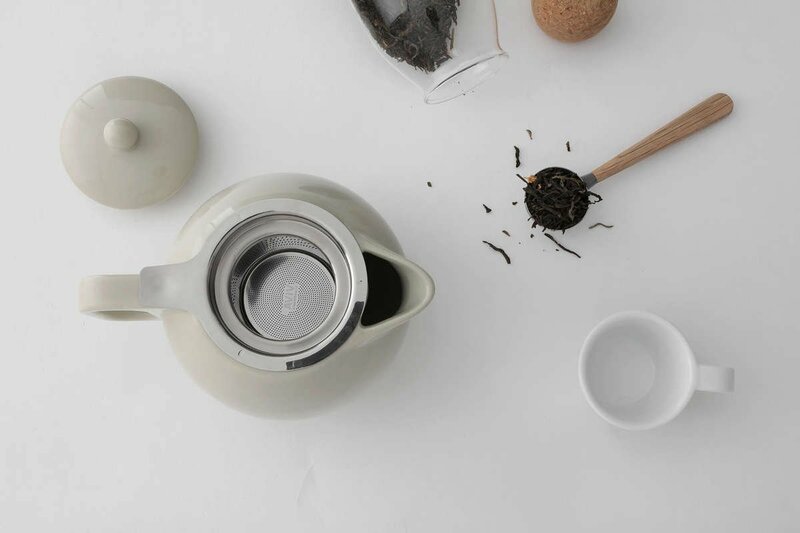 This teapot is largely a classic design with a few modern flairs. The petite and sharp lines of the spout work beautifully paired with the plump curves of the body. 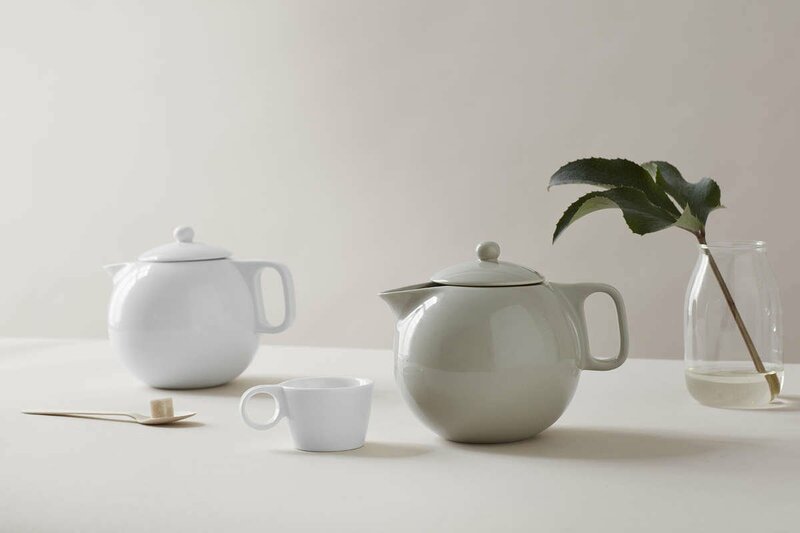 The Jaimi is everything you’ve always loved about teapots with some contemporary style to keep you coming back. With Jaimi by your side, you’ll find another comfort. Another piece of joy to maintain your well-being. Spend crisp autumnal afternoons with Jaimi, alone or with friends. Comfort, familiarity and a little bit of pizazz all wrapped up in one very lovely teapot-shaped package. The Jaimi is a 1 litre capacity teapot. This will make four large cups so it’s ideal for sharing with friends.